So you have gotten an iPhone and can’t get enough of it? 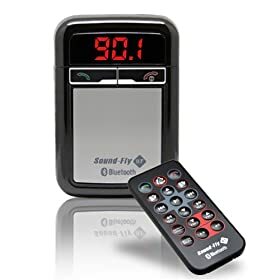 Maybe you want to take it with you on the road and listen to your music right from your car stereo? Whatever the case, you can easily get it done with a FM transmitter for iPhone. FM Transmitters allow you to use your car stereo to listen to your music “wirelessly,” so you won’t have to deal with wires in your car. 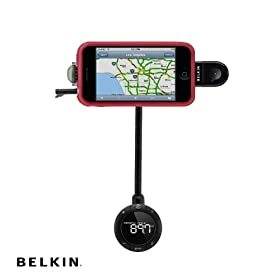 Belkin TuneBase FM w/ Hands-Free for 3GS: lets you listen to your favorite tunes in your car. It transmits them wirelessly from your iPhone to your FM car/home stereo. It charges your iPhone as well. Push button call pick up and speakerphone are a plus. 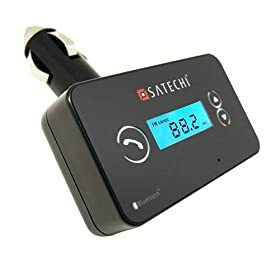 Satechi Bluetooth Hands-free Car Stereo Fm Transmitter: supports iPhone 3G, iPhone 3GS, and other bluetooth enabled devices. Great for making phone calls from your car. 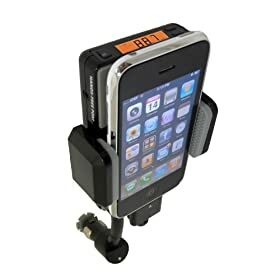 Advanced Car Mount System for Apple iPhone 3G and 3GS: a complete all in one car solution for iPhone 3GS. Charges your phone, keeps it still, and lets you listen to your music on your car stereo. 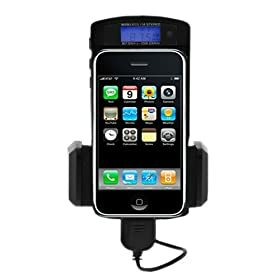 GTMax 8 In 1 FM Transmitter Car Kit: an iPhone 3GS charger, controller, and holder. So you can easily listen to your music, navigate your way with your GPS app, and keep your iPhone still with this kit. Did I miss any? Please share your favorite iPhone FM Transmitters here.